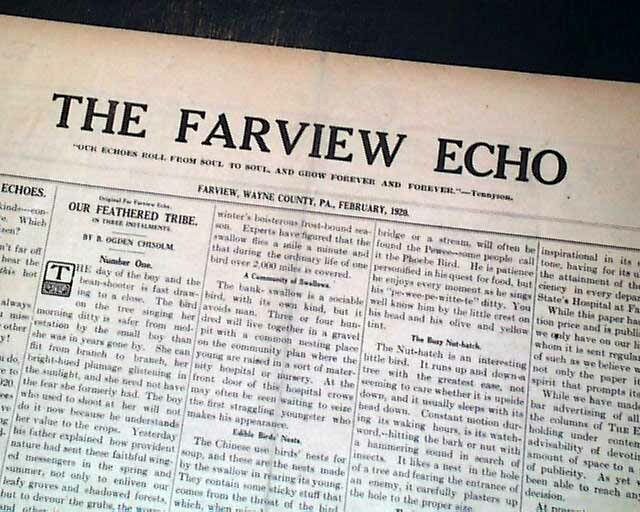 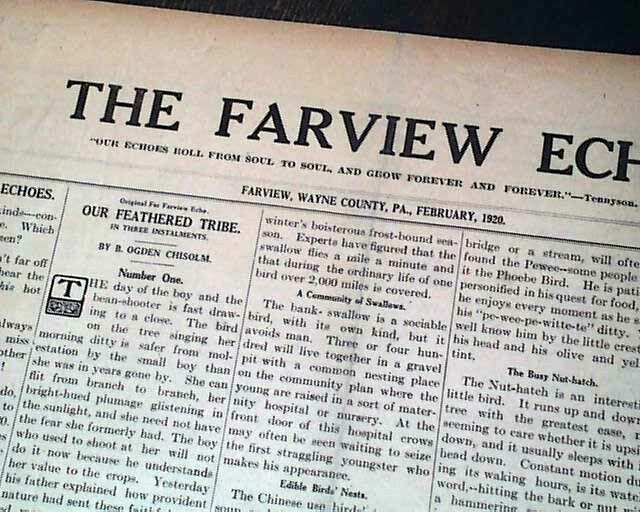 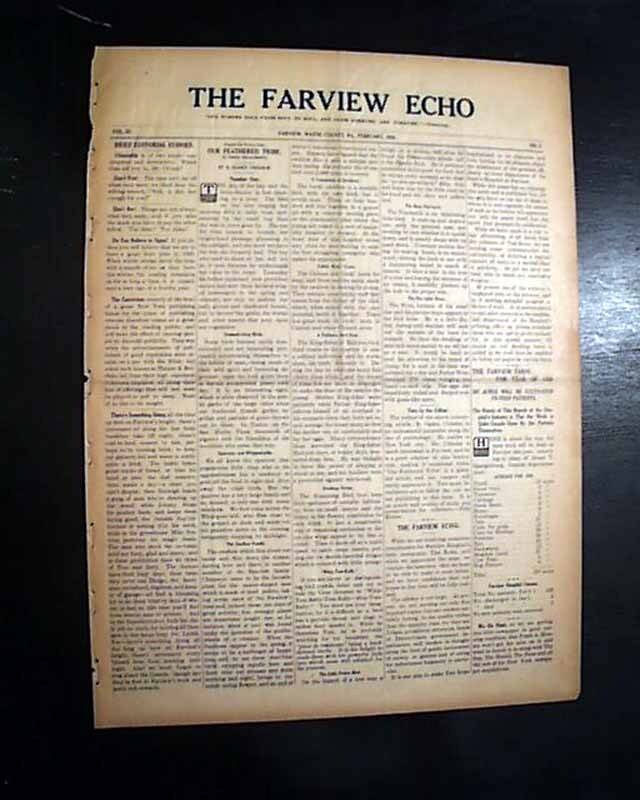 THE FARVIEW ECHO, Farview (Waymart), Wayne County, Pennsylvania, February, 1920 This is an interesting four page newspaper published by the "Farview State Hospital" which was for the criminally insane. 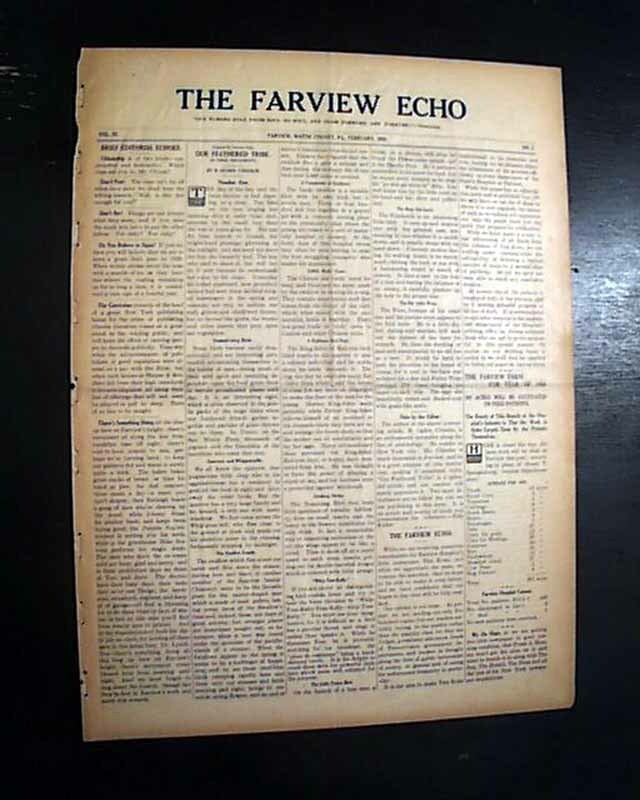 The issue contains a wide range of various news tidbits and no advertisements. 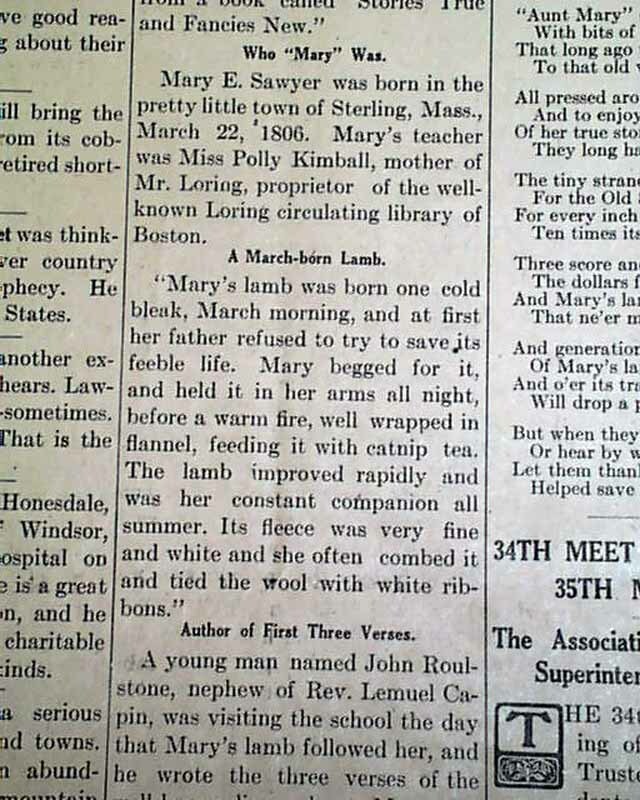 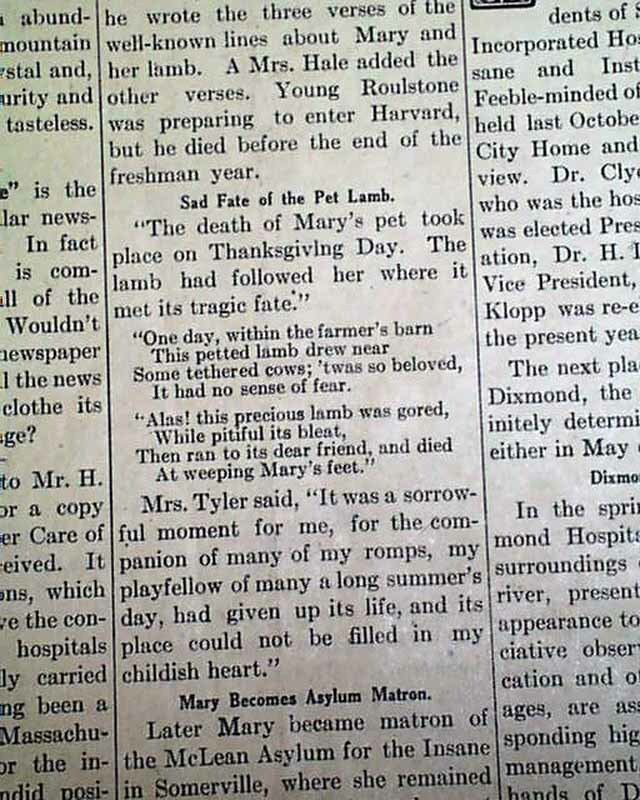 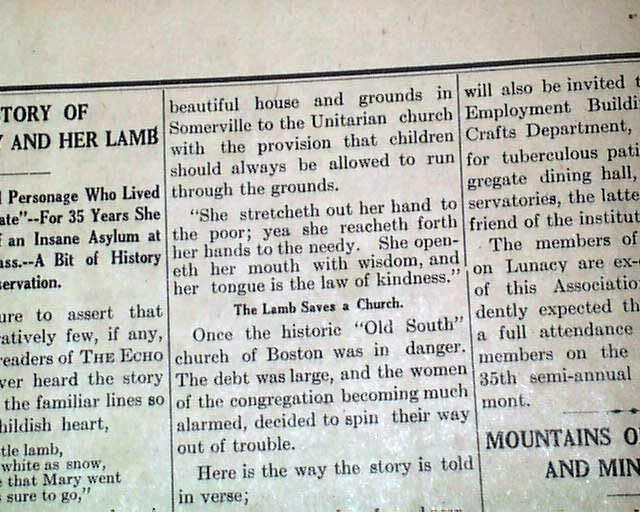 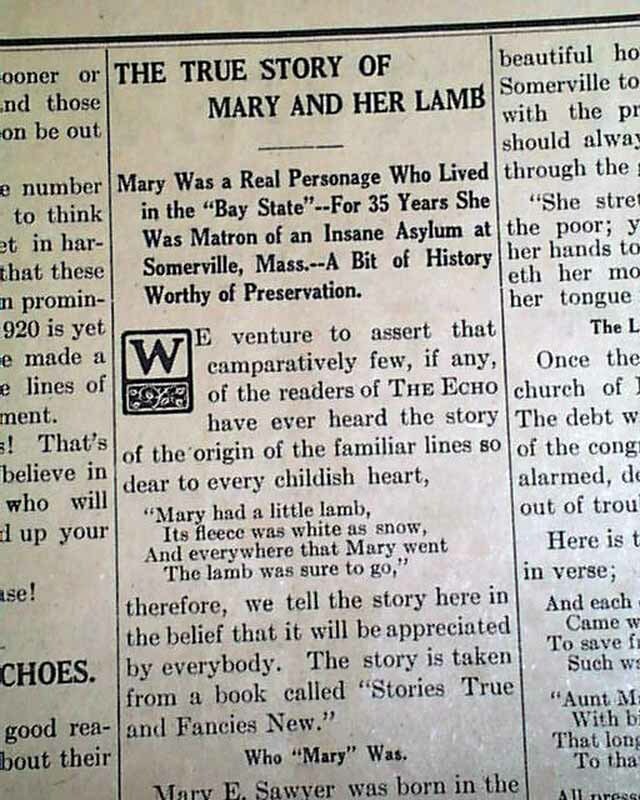 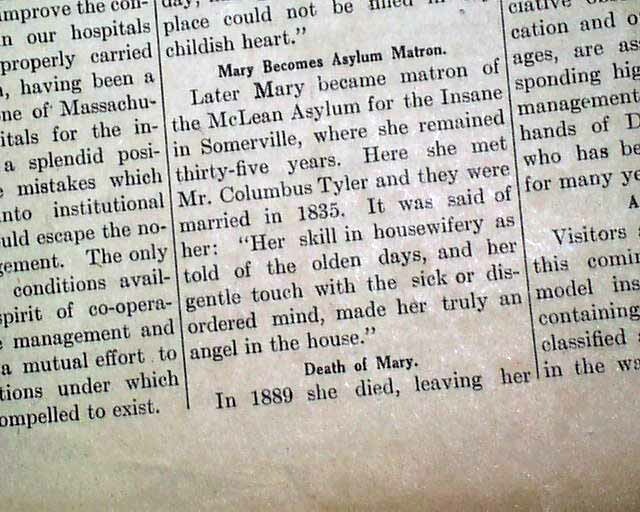 Page 2 has an intriguing article: "The True Story of Mary And Her Lamb" with subhead: "Mary Was a Real Personage Who Lived in the 'Bay State'--For 35 Years She Was Matron of an Insane Asylum..." with the story telling how the famous nursery rhyme "Mary Had A Little Lamb" came to be. 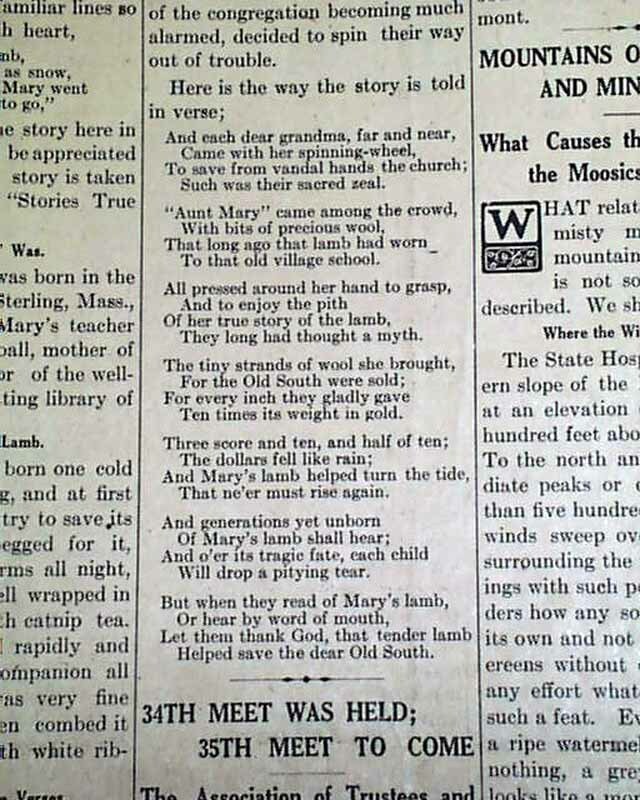 Four pages, small folio size, nice condition.